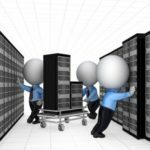 Due to the irreplaceable nature of data, server units may be your company’s most important assets. Therefore, when it comes time to purchase a new server, you will want to make sure that your new unit will be exactly what your business needs. Getting a model that’s too small or too powerful can be costly. Here’s what to look for when purchasing a new server. The temptation is to go with a server that’s on sale or the first one you come across, but if you don’t match up the new unit with your needs, then you will pay for it by losing productivity. 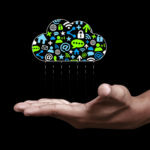 Knowing what the computing needs are for your business will go a long way in picking out the right server. For example, you will want to consider what roles your servers will be laying and what applications you are going to be using on a day-to-day basis. If you’re primarily using your servers to host mission-critical business applications and databases, then you will want a powerful and high-end server loaded with extra CPU. If on the other hand you plan on using your server for more virtualization-related uses, then you will want to invest in a unit that has extra memory and input/output. This way, you can make a reliable connection between your terminals and your direct-access storage device, which will cause less downtime due to lag. Unlike other pieces of equipment in your office, like your refrigerator or your PC monitors, your server units will rack up significant maintenance costs that you need to be aware of before picking one out. Doing things like understanding how much electricity your new server will use and what that will add up to on a monthly basis, will help you in making an accurate budget. Having this knowledge will make sure that you’re not surprised by any unforeseen operational expenses related to your IT infrastructure. One server solution that will save you on utilities is to go with a unit designed to consume less power. An energy efficient server may cost you extra, but you will see the savings add up every month that you use it. 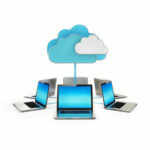 Other expenses that accompany a new server are software and software licensing, a data backup and security solution, cabling, cooling, rack space, uninterrupted power supply and much more. You can see why a server unit shouldn’t be treated as a casual purchase. There are also additional expenses involved with getting it installed and keeping it running, which is why it’s important that you consult with a technology professional before you begin server shopping. The technicians at Quikteks know servers very well. we will be happy to discuss with you the needs of your business and the extra expenses associated with a new server unit. This way, you will end up with the perfect model that won’t bust your budget. Technology goes through cycles and old models are eventually made obsolete by new ones. You will want to be aware of these technology cycles when you are server shopping. For example, let’s say that you go with an inexpensive unit after determining that it meets your current computing needs. This is all fine and good for the here and now, but what about the future? You may have gotten such a good deal on the server because its processor chipset is on the downward side of the technology cycle. It may also be the case that new applications your business will need may require the newer chips, which would leave you needing to upgrade your new server just to use it. Avoiding expensive issues like this is called “future proofing” your technology. The best way to achieve this is to be familiar with the technology trends in the IT industry so that you won’t get stuck with a lemon of a server. This is yet another way that consulting with Quikteks for your technology purchases will help your business succeed. 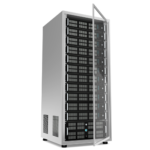 Last but not least, you will want to consider the maintenance expense of your new server. 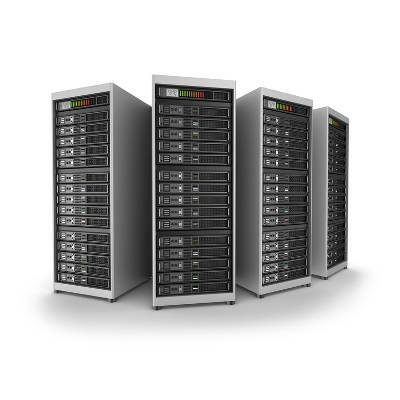 Even the best server units are not guaranteed to last forever and will require maintenance. If the server maintenance is left to only when the server crashes, then your maintenance cost will be sporadic and impossible to budget around. However, if your servers are remotely maintained with Quikteks’s managed IT service (which includes break-fix repairs at a flat rate), then you will have a consistent budget as well as servers running at an optimal level. This will minimize downtown caused by problems with servers, which will add to your bottom line! To receive help finding and maintaining the perfect server for your business, give us a call at PHONENUMBER.